In 2005 the Department of Enterprise Trade and Investment in Northern Ireland staged an open international competition for a new visitor’s centre for Northern Ireland’s most significant landscape formation, the Giant’s Causeway. ABA proposal was conceived as a gateway to the landscape, and an undulating landscape in itself, embedded in the side of the sloping site. From the earliest period, the Irish environment has been a product of a dynamic interaction between culture and nature, a continuous process of landscape transformation in response to changes in society and technology. 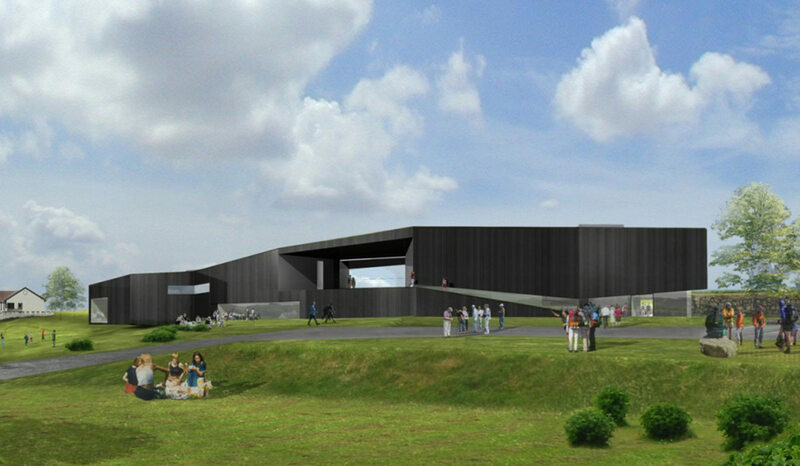 In this proposal, the new Giants Causeway Visitor facility continues this gradual transformation through the manipulation of vernacular materials and earthwork, light and mass, movement and stillness, to create timeless form uniting landscape and inhabitation. The Portal the new visitor centre communicates the values embodied in the Irish landscape with a building that is embedded in its context physically and culturally. The building is a geological fragment, a massive wall emerging from the coastal ridge to form a gateway, or portal, to the Giants Causeway. Like a solid rock that has been carved to create routes through and around its mass, the form is pierced with long fissures to allow light and people to enter and flow. 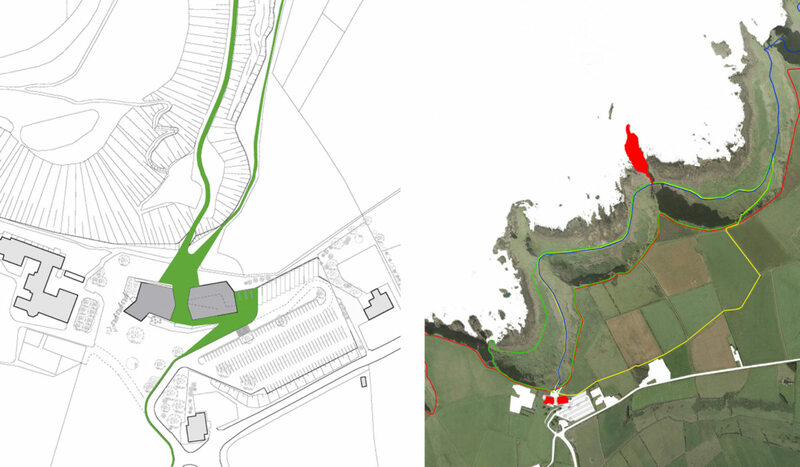 Providing two routes to the Causeway, both exterior and interior, the new building will create the opportunity to reach the Causeway as a profoundly direct landscape experience or as an intimate, interpretive journey through a series of narrative, sensory spaces.